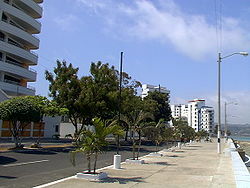 This tour will take us to the north part of Manabí, we could start either from Crucita or San Clemente, you pick, Crucita has a wonderful view from the hill, also we will watch the paragliding guys, in the other hand we have San Clemente, which is a fishing village, there are a few hotels and they have a nice beach, we continue to Bahia, beautiful town, this town has a bridge which connects Bahia de Caraquez to San Vicente it was built in 2010, we will stop by a restaurant that is called Puerto Amistad owned by Frank an expat who has lived there for 9 years, he also owns the small marina, after we will go to Canoa our final stop, this is a nice beach similar to Montanita, a beautiful beach very popular among the surfers and people who enjoy to party, it is also well known by its artisans; you will be able to buy some handcraft if you'd like. 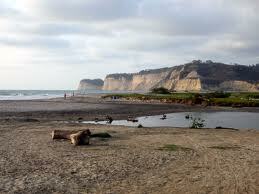 Canoa is a pleasant, laid-back fishing village on the Pacific coast of Ecuador in the Manabi province. Popular with travellers and yet not over-run by them, it's an excellent place to chill-out for a few days on the beach or practice your surfing skills. Get in Every 30 minutes there is a bus connection with San Vicente. From here you will need to take a boat across the mouth of the Chone river to get to Bahia de Caraquez. You can either jump on the car ferry (free) or pay a small fare to go across in one of the small motor boats which leave from the jetties. From Bahia 4 busses daily leave to Quito (two in the morning (6:30AM, 9AM) and two in the evening).There are now direct buses to Quito and guayaquil to and from Canoa. There is also a bus route up the coast to Pedernales The Sundown Inn web site has excellent maps of Canoa and the region.